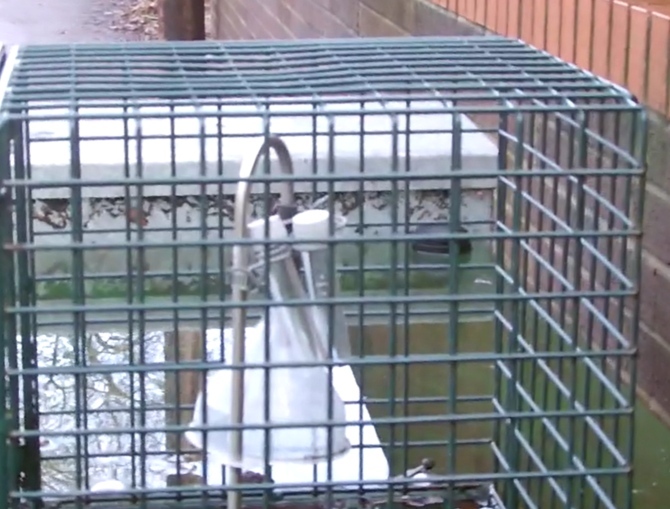 Nuneaton and Bedworth Borough council has reduced the monitoring of Air pollution in the Leicester Road Air Quality Monitoring Area (AQMA2). The only monitoring equipment left is mostly poorly located and unable to show the full impact of increased traffic pollution. In order for consultants to be able to model future pollution, the existing monitoring network must be accurately located and it must capture significant traffic pollution. 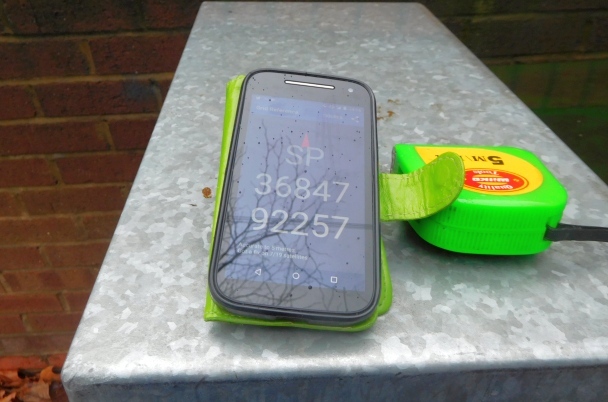 If the monitoring is too far from the kerbside, in unsuitable locations and not the stated distance from the pollution, the modelling can underestimate pollution. There were 11 monitoring locations around the gyratory. The first 4 (NB10, NB11, NB12 & NB13)have been discontinued. These were the closest to the traffic and gave the best measurements of traffic pollution. They would have been the best measurements to use to align any computer model of traffic pollution to real measurements. NB15 is behind the Lamppost outside Bridge Grove. This is where the triangle at the North end of the one way system splits traffic just south of old Rail Bridge. When I looked it was at correct distance from kerb but was at back of the post at a slope. A better view of how it is off vertical from the other direction. 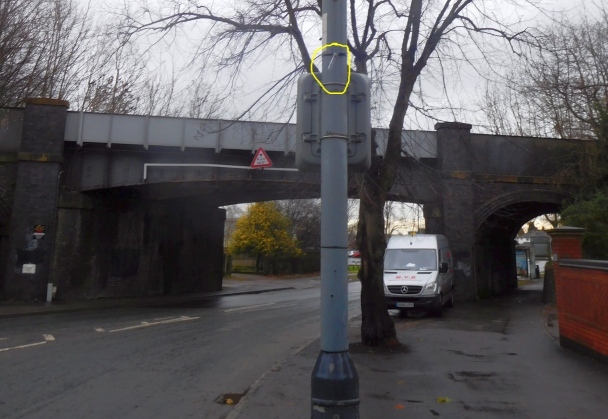 The automatic Air Quality Monitor has how been mothballed but is the site of 2 or 3 co-located diffusion tubes. 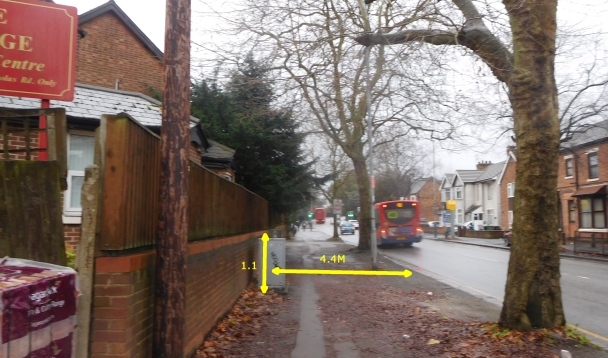 According to the council data this should have inlet 1.6metres high and 3 metre from the kerb. In reality it is 4.4 metres from kerb and only 1.1 metres from the ground. It is also covered by a tree which will significantly reduce the measurements in the summer. Though the location of the tubes and automatic monitor are the same the council thinks the co-located tubes are some 11 metres away. The location seems to be correct for the monitor box. yet again the diffusion tubes in the measurement cage are not vertical. The next monitor on the gyratory system is on number 31 Leicester Road and is claimed to be a massive 11 metres from the kerb. I found that the diffusion tube was on the south facing side and around 14-15 metres from the traffic. On the sharp corner from Old Hinckley Road back to Leicester Road there was a monitoring tube outside 46 Leicester Road. 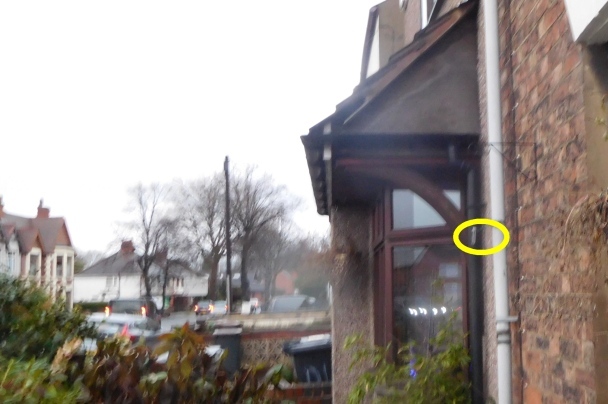 This has been moved from Lamppost (in yellow circle) to between the bay windows. This gives a low measurement. 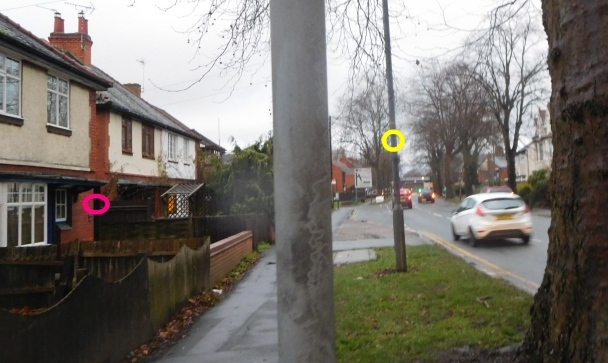 The diffusion tubes on Old Hinckley Road near the road are not installed any more. The first tube is on Number 17 which is 3rd house from the corner. It is near a bay window of the next house. This may not be the most polluted home on that side. The next tube is at the front of number 36 (in pink circle). This is set back almost 10 metres from the road. Considerably more pollution was measured at the kerbside (in yellow circle) outside number 34, even though this was under a tree. 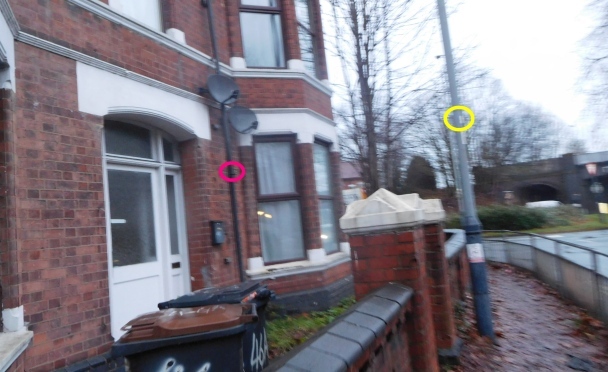 The final locations on Old Hinckley road were supposed to be at the front of Number 62 which replaced a tube on the lamp post outside number 64. I have not been able to locate a tube on number 62 and the owner has never seen one on her home. 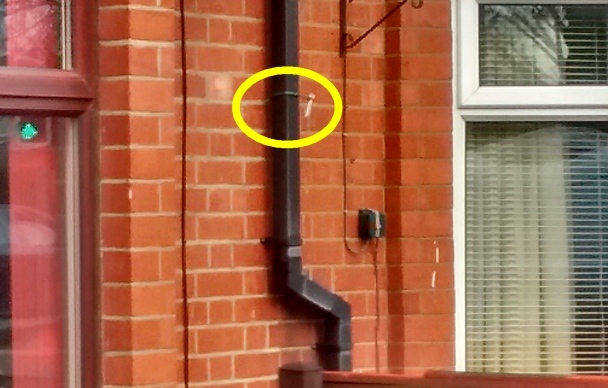 I have now found it on the down pipe between Number 58 & 60. This is between two bay windows and was a long way off vertical . (it looks worse straight on) . The locations uses seem to have loads of issues with monitoring being in locations with poor air flow, under trees and in one case the tube is clearly not vertical. There is DEFRA guide to doing measurements.